After a long and tiring day of work or household chores, a full body massage would be a nice treat. Aside from the body and muscle pain relief, a full body massage can also provide health enhancement and therapeutic aid. But do you have to go to a spa or a massage parlor to get this soothing body treatment? You won’t have to. 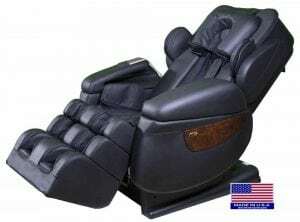 You can get a comprehensive body massage using a full body massage chair. 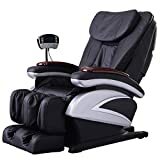 And our Top 10 Best Massage Chairs in 2019 Reviews list will help you decide which massage chair you should take home! It isn’t easy to find which full-body massage chair you should buy. But our top 10 list will help you find that out! The first massage chair you’d see on our list is the Osaki OS-4000. 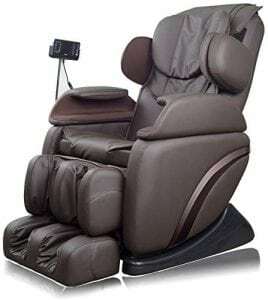 It is a zero-gravity chair that has a computer body scan system that allows the rollers to scan your body and identify the kind of massage you need. And because it is a zero-gravity chair, the ergonomic design contours a variety of spine shapes. The four air massagers target arms, foot, and calf, hip and lumbar, and shoulders. The lower back heat therapy consists of two heating pads along the lumbar area that alleviate the pain on your lower back. And to keep everything at ease, the full-size remote allows you to customize and select the settings according to your preference. A wireless controller for the primary controls makes it much easier to operate too! It takes only thirty minutes or less to assemble this chair and get your first massage session! 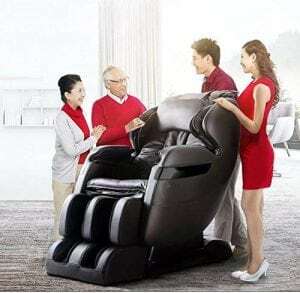 This chair has four preset massage programs and a zero-gravity feature so you can experience a relaxing full-body massage. It has eight massage points that coordinate with other programs and 50 airbags for the shoulders, arms, and legs to provide a very effective massage. 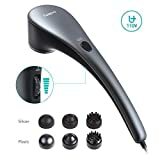 The design has an exclusive armrest linkage system and a foot roller function that integrate with each other to give you an exceptional soothing massage and a great relief for muscle and body pain. The seat massager also includes vibration, heat and air squeeze which promote blood circulation and better metabolism. If you’re looking for a body treatment and massage inspired by yoga, this chair from Kahuna showcases two types of stretch programs of yoga stretching and new active refreshing yoga. With such programs, you can feel rejuvenated as what most people feel when they’re in a yoga class. 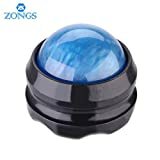 Among the stunning features of this massager is the Kahuna’s special vibration technique. It is under the seat that stabilizes blood circulation with its three intensity levels. This buttock massage provides a very effective and soothing massage that you’ve always wanted after a long and exhausting day. It also features vibration and a roller massage function that aid men with genital diseases. 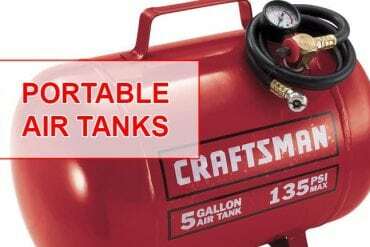 This feature includes heating and vibration below the waist. 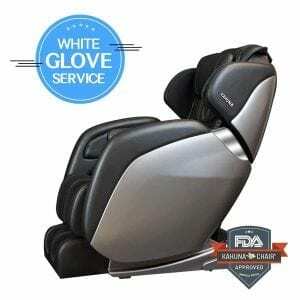 The airbags massage the forearms, and the zero gravity feature makes it much more functional. 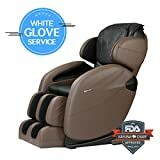 This zero-gravity massage chair promotes blood circulation, relaxation, and soothing deep massage. 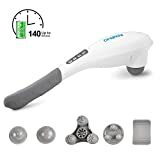 It comes with seven manual specific massages such as knocking, rolling, shiatsu, tapping, kneading, vibrating, and a combination of knocking and tapping. With such programs, the massage sessions are much more relaxing and enjoyable. This chair also offers four massage techniques such as stretch, relax, swing, and recovery mode. So if you are suffering from back problems, muscle pain, or any severe body pain caused by too much work or illnesses, such techniques will help you rejuvenate your mind and body and welcome another day with full of energy. The Stretch mode program or yoga stretch is another mode on this chair that involves massage treatment for your legs, feet, and upper body. And if you’re taller, you can just extend the leg massager through the footrest to enjoy a comfortable massage session. Although it is a little difficult to assemble and disassemble, that’s no big deal compared to how much this chair can offer. 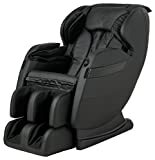 The Relaxonchair is one of the most recommended massage chairs on the market. 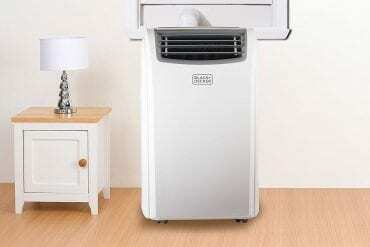 And a lot of users find it as a great example of durability and affordability. It features Buttlock L-track massage system, four preset programs, computerized body scan, five manual specific massages, lumbar back heating, and three levels of zero gravity. You get more of what you pay for! These stunning features make an exceptional quality and provide a custom massage according to your needs. The Buttlock L-track system is innovative rollers that contour the spine’s natural shape. This technology is perfect for those who experience severe back pain, tight glute muscles, or ill effects of sciatica. The four auto programs allow you to experience the massage from a professional therapist that slowly stretches out your leg and back muscles. You can also customize the massage for kneading, tapping, rolling, shiatsu, or a combination of those massages. With just one push, you can easily operate this chair from Ideal Massage according to the type of massage, speed, and intensity levels. 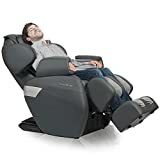 This zero-gravity chair features four auto programs that function as shiatsu, kneading, spinal rolling, and vibrating. This variety of modes will give multi-functional massages with a combination of massaging methods. This massage chair also has a built-in heat therapy in the back that helps relax the muscles. You can also see the therapeutic bags around the shoulders, arms, foot, and calves area that give you the ultimate massage experience all over your body. You’ve got a lot of options to choose from. The programmed massage settings make it much easier and enjoyable to use. However, some users find it too small for their height, particularly those who are six feet and above. The Luraco i7 iRobotics features a 3D robotic system with the latest control technology that endows you with the superior massage techniques and programs for your body specifically the neck, shoulders and the lower back. This technology ensures to provide you only the therapy and massage you need. The design exhibits 3-layered foot and calf massager that targets the pain around your foot. This would be a good relief for older people who experience muscle pain in their legs and feet. 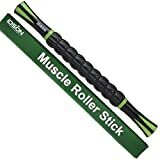 The doubled rollers and five levels of intensity are fortified massager support to make the treatment stronger, more intense, but not painful to bear. 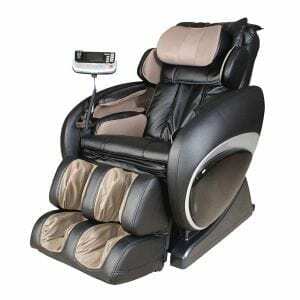 Compared to other massage chairs, the Luraco i7 iRobotics is quite expensive. This could be a slight pitfall for those who are on a tight budget. But if you’re willing to spend more, you can go with it. You’d surely find every stunning feature worth every penny. 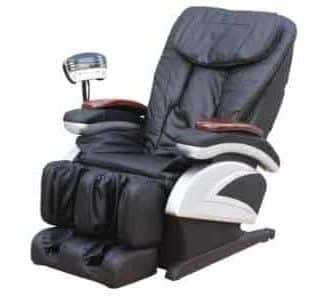 If you’re looking for the ideal recline position for your massage sessions, the Kahuna LM-6800 has three levels of zero gravity. 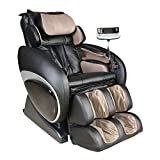 It’s an all-in-one massage chair that features the L-track frame structure that consists of 4 rollers to effectively soothe and massage your shoulders, arms, waist, and hips. The Computer Body Scan Technology is also an impressive feature of this chair that scans your body size automatically to give you a custom body massage according to your physical aspects and needs. It also has 5 manual massage techniques, 5 preset programs and a heating therapy for your lower back and legs. Whilst most of the chairs cost a thousand bucks or more, the Best Massage comes at a much more affordable price. Although much cheaper, it doesn’t compromise the performance but rather promotes muscle relaxation using the power rollers. These rollers also rejuvenate your body and mind to bring the energy you need for the day. This massager also offers preset programs for recovery sessions and not just for muscle and body relaxation. It has a programmed system that targets the points on the lower back, neck, tailbone section, thighs, feet, and legs. The massage heads provide an extensive range of motion all over your body to give you the ultimate body massage and therapy. If you need to adjust the intensity of the massage, it has multiple levels to choose from. 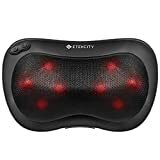 The control panel has a user-friendly interface that allows you to customize the intensity level from the strongest to the lightest massage. 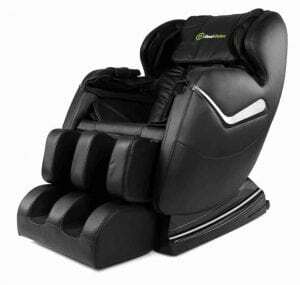 The Shiatsu Kahuna Massage chair offers three zero gravity positions to make every massage session the most comfortable and relaxing you could ever try. It also promotes overall well-being, reduces the heart rate, soothes the stress, and calms your body. If you also want to customize the massages for every session, the four preset programs with manual settings will let you do so. And because it acquires the advanced technology, it also displays the information of your massage session through the LCD remote controller. You can see the time, massage strength, speed, roller position, and many other settings that you wish to adjust. The kneading and tapping function ensure to give you a very effective relief from your body and muscle pain. The massage rollers, on the other hand, take good care of your sore feet. 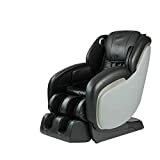 As you see, compared to all the other massage chairs in the list, the Shiatsu Kahuna LM-7800 comes with a hefty price tag. But it has all the features you could ever look for an excellent massage chair. It provides a deep soothing massage and enough pressure to relieve tired muscles. From all the massage chairs you can find in the market, how can you choose the best one that will suit your standards and needs? Here are some factors you should consider first. 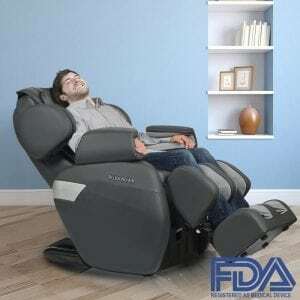 COMFORT and YOUR NEEDS: Do you need a massage chair for pain management or just for relaxation? Identifying first your needs will help you decide which type you should buy. And you can’t just find comfort from any massage chair you can find. The most comfortable massage chair is the one that can comply with the treatment you need. PRESET PROGRAMS: These preset programs are a combination of intense and light massage sessions that can either provide a therapeutic aid or just a soothing body kneading. These preset programs are not always uniform and may vary from one chair to another. You can check this feature before buying to know which programs and settings would be useful in the long run. 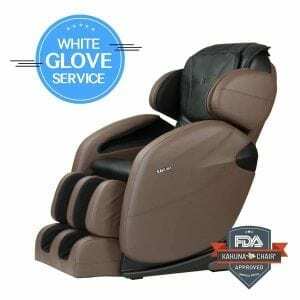 ZERO GRAVITY: You can consider zero-gravity massage chairs as the best ones you can find in the market. If a chair has the zero gravity feature, it can provide you the ideal recline position that makes massage sessions more comfortable than ever. It distributes your weight thoroughly which helps you relieve the pain in your spine. If you are also experiencing persistent back and body pain, a zero-gravity massage chair would be your best option. EXTRA FEATURES: Some chairs have more than just the essential features. 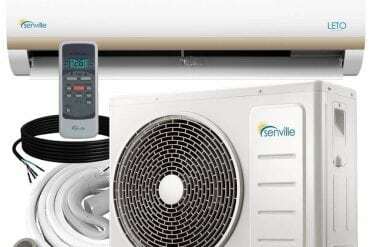 It includes auto-timer, speed and intensity settings, a heater, and much more. These additional features make the chair more enjoyable to use while having your massage sessions. PRICE: A massage chair is a good investment, but it needs careful budgeting. You should know how much you’re willing to spend as these chairs could have hefty price tags. 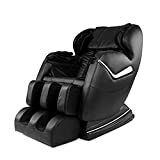 You can check the reviews online and make a deliberate research to know which massage chair is worth every penny. Investing in a good body massage chair is investing in better health. Although they may cost a few bucks, you can survive your body and muscle pain every day without the need to spend more on ridiculously expensive spas or massage parlors. You can have those relaxing and therapeutic massage sessions in your very own home any time of the day! 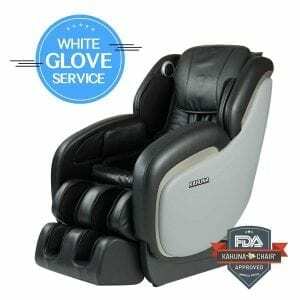 If you still can’t find which massage chair suits you best, we hope our top 10 list of the best-selling products and the unbiased and complete reviews will help you find the best full-body massage chair!